Just as in writing, backgrounds are important for every manga. It anchors the characters and settings in a specific time and space. Without them, readers have only dialogue to follow the story. Creating a background from scratch may be time consuming, but it is one of the most fulfilling parts of drawing. Once you’re done, you sigh and yell, “I did it!” The best way to create a background from scratch is to take a picture of the locations or buildings you want to use and draw it from that picture. The reason why I don’t prefer drawing at the location is because many factors change as you’re looking between your drawing and the actual place. The sun and clouds move, shifting the shadows around, and people hover over your shoulder with indignant questions, peeling your gaze from your focal point. A picture will stay whatever you want that picture to be. With a picture of a location, you can also create unique backgrounds. Ai Yazawa turns images into shadows with almost pixelated points. You can also turn pictures Into vectors in Adobe Illustrator or Manga Pro. To vectorize an image in Illustrator, select to “Trace”. If drawing or vectorizing pictures are too much, you can buy Deleter background booklets or get free stock manga backgrounds on DeviantArt or Pinterest. Deleter and Manga University both have books with backgrounds you can print onto adhesive sheets and apply like screentones or digitally place them in your manga using layers. They’re good for hard-to-find pictures such as Japanese classrooms, common streets, and convenience stores. The books aren’t free. They price anywhere from $2.50 to $12.00 online. If you want to be a well-rounded artist, my advice is to learn how to do perspective drawings. Even if you plan on becoming a traditional artist (drawing, painting, sculpting), learning perspective will only be a tool. I used to hate and blame fat people for their heaviness. It’s their faults, I convinced myself. But after facing my own fat issues and reading about weight discrimination in all walks of life, I’ve changed my accusatory hate into something more productive: understanding. It’s been hard considering that I live in Japan, a country where the inaccurate BMI is still gold and sizes run all but large. In reading a post on Tutus and Tiny Hats, I realized that this problem–making fat people the victims of a weighty situation–is ingrained not just in Japanese fashion. It’s something that even manga readers have to see in black and white: the fat characters in manga and their treatment by their thin counterparts. Two manga come to mind. 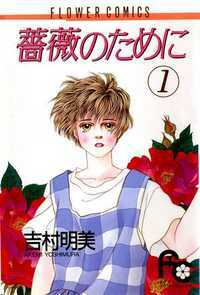 The first title is Bara no Tame ni, or For the Rose, an unlicensed title in the shoujo category. Because of its quirky plot–a chubby homeless girl starts living with her half-siblings in her movie star mother’s home–For the Rose won the Shogakukan Manga Award in 1994. 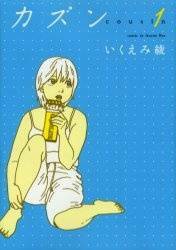 For me, this manga proves that a manga starring an overweight woman can be memorable. I read this 10 years ago, and I can still remember how unfair and judgmental everyone was being to Yuri, who only wants to find a home with her siblings. One thing I love about this manga was how the other characters changed around her, defending and protecting her for her, not her size. The second title is an unlicensed josei title called Cousin with a chubby girl as its main character. After Yuki graduates from high school, she meets Aoi, a carefree guy who decides to befriend her because he’s a fan of her actress cousin. Though Yuki is skeptical at first, thinking he’s a pervert, they become friends. In spite of its lackluster plot, I love Yuki and her realistic struggles with her weight and her place in the world. She faces hassles on her new job and with her new friends, but she keeps moving forward in life. What really surprised me was her family’s personality. When she decides to lose weight, her parents are reluctant at first because they “love her the way she is” (though her father adds, “I like chubbiness”). Her younger sister, on the other hand, gets on her case even more, but just as in Yuki-fashion, she is mostly labeled as an ignorable brat. I never thought of this kind of situation for a fat person. What if your family is resistant to you losing weight? What warms readers hearts about this manga is that Yuki has perseverance–and yes, she stumbles here and there–and the characters around her accept her for who she is, not the size on the tag. I love these two manga, but as I said before, they’re unlicensed, meaning that they aren’t officially translated into English for the Western audience. I can think of other manga that have fat supporting characters, however, I’m looking at main characters. They come few and far between. This shows how Japanese comic artists stereotype fat people, usually making the defining traits for rotund characters like Choji Akimichi (Naruto), Gluttony (Fullmetal Alchemist), and Terumichi Nishida (Detroit Metal City) the same. I don’t think fat people can be put into the same Giant Foodie Category just because they’re fat. Every person, whether they’re a size 22 or a size 2, has problems, and those problems lead people to different coping mechanisms. Some may be food addiction while others are alcoholism. Some may be one too many milkshakes, and others may be one too many sexapades. These things are just escapes from a larger issue that needs to be faced. I know for me to even start losing the weight I gained from life abroad and marriage, I had to look at my heart before my plate. If anything was going to change and stick, I had to tackle the problem(s). I’m not at my goal right now, but I am at a better place–and so are the numbers on my scales. Now if only manga creators could find it in their hearts to make some super interesting fat characters, main or side, without using their fatness as the only defining trait. This month, online manga and comic magazine, Inkblazers, shut down for good. I was a big fan of the series, “Only Human”, but just because the magazine is gone doesn’t mean these awesome comics have to disappear as well. For those of you looking for digital manga and comics, try out these former Inkblazers to their own websites. Your Bucket List: How Do I Get to Japan? Aside from stowing away in a friend’s suitcase for Tokyo, getting to Japan is easy. It depends on your desire. Do you want to work, play, study, or tour? If you’re looking to play in Japan or tour the sights, you could do it the old-fashioned way and buy a plane ticket. You’ll be shelling out around $1,000 for a round-trip ticket–a definite hole in some shallow pockets. The other way to get to Japan is by joining your city’s sister cities program. “My city has a sister city?” Most cities, even the small ones, have a sister city in a different country. I came to Japan for nearly half the cost because the City of Chula Vista did a summer sister city exchange program in Odawara. If you go this route, you’ll be a representative, which means you’ll have some obligations to fulfill before seeing sights. As a representative, you’ll get to see places and things that you wouldn’t see if you were just a tourist. Bottom line: Try to go to Japan on someone else’s bill. If you want to study in Japan, there are various programs to try. The first one to try is your own school. Many high schools and universities have a short-stay (two weeks to three months) exchange program or a long-stay (eight months to one year) exchange program. In universities with strong international programs, you could arrange to study for a year in a coordinating Japanese university paying the same tuition for your regular university. Aside from the universities, some places in Japan offer a chance for foreigners to come to Japan simply for studying manga techniques or the Japanese language. These programs, however, are usually limited space and short-stay programs, but they still give you a glimpse into Japanese culture. There are a few programs in schools intended for job placement in Japan, such as Ritsumeikan Asia Pacific University. You can also check out my post on manga classes offered to foreigners. Bottom line: Use the easiest route first and learn some Japanese. If you want to work in Japan, you’ll have to do one of two things: come to Japan and find work within three months or apply through a program in your home country and get the job before coming to Japan. The latter is easier to do because programs like the Japan Exchange and Teaching Programme (J.E.T. Programme) and the Interact Network provide some assistance in getting your visa and plane tickets and helping you settle into your new home in Japan. Coming directly to Japan and looking for work on a visitor’s permit is more stressful because of the time restrictions. If you arrive after April, you miss the hiring season, lowering the chances of finding a job. If you arrive between January and April, the chances of finding a job is higher since most work contracts end in April. Bottom line: Apply before coming Japan or arrive before April for the hiring season. If you want to “accomplish your dreams”, remember that dreams require work. Most young people want to be a manga artist. As Jamie Lano of Jamieism.com suggested, read Bakuman. It’s not as glamorous as most people might think, but if you’re willing to shed some sweat and tears–and maybe blood–you’ll find yourself gaining wholesome experiences. Bottom line: Look before you leap, and work for your dreams.